The EDSS Centre Fit Shoes are designed to the fit the foot in a balanced fashion around the widest part of the foot (which is essentially the center of rotation of the coffin joint). In addition to balancing the shoe around the coffin bone, the Centre Fit shoe incorporates many leverage reduction design features that will help eliminate many of the tendon, ligament, and soft tissue strains in & around the coffin joint. The Centre Fit Shoes are used for a wide variety of disciplines including dressage, hunters, jumpers, and western performance & english show horses. 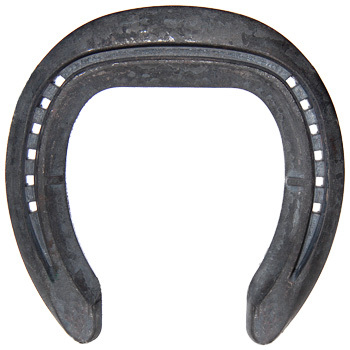 Because of the support and durability of the shoe, they are a good choice for trail and other pleasure horses. 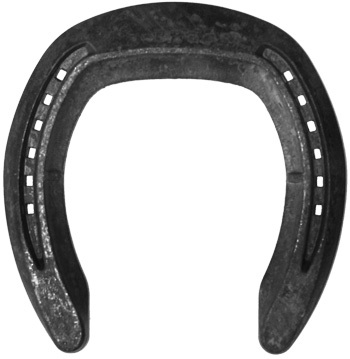 In cases of minor lameness issues caused from excessive strain, leverage, and/or hoof distortions, the Centre Fit shoes incorporate many features that have proven to help relieve or overcome these lameness problems. More sizes up to size 6 available on request!